BNB Admits Existence of “Lethal” Reports on FIB. They Were Secret. 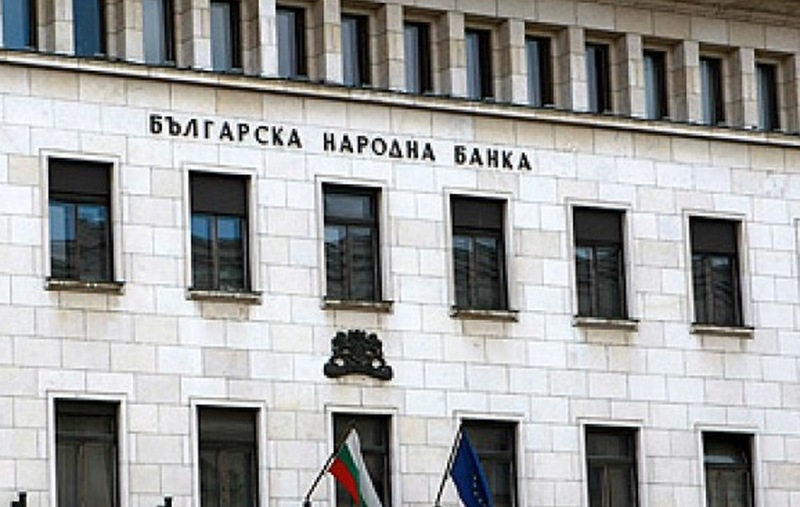 After a similar report on the collapsed Corporate Commercial Bank (CCB) prosecutors pressed charges against the former head of "Banking Supervision" of the central bank – Bulgarian National Bank (BNB). After the report on First Investment Bank (FIB), there is no reaction. There are two supervisory reports on First Investment Bank, from 2012 and 2015. BNB admits this fact in a response to questions sent by Bivol. The reports have been prepared on the basis of order №РД 22-0301/February 16, 2012 and order BNB 77 189 / August 19, 2015. The central bank refused to provide their content, arguing that the reports are a professional and bank secret under the Credit Institutions Act (CIA), art. 62-64. However, we consulted with lawyer Alexander Kashumov and his opinion is that the CIA reference is not valid. Only information on liquidity and operations related to deposits and customer accounts is considered bank secret, according to article 62, paragraph 2 of CIA. The “Banking Supervision” reports do not contain such specific information and therefore cannot be a bank secret. On these grounds, Bivol will require both reports under the Access to Public Information Act (APIA). BNB refused to say whether the report from 2012 has been submitted to the European Commission along with the request for State aid to FIB. The central bank passed the ball to the Ministry of Finance as the institution handling the correspondence with the European Commission on State aid. The Ministry did not provide responses by the time of the publication of this article. Bivol’s question to the press office of the Council of Ministers whether Prime Minister Boyko Borisov has been informed about the report from 2012 during his first term in office and about the report from 2015 during his second term, also remained unanswered. On Friday, August 12, 2016, Bivol published the first part of the report from 2012. It includes shocking findings about the state of FIB. It has become an extremely risky bank because of the large amount of non-performing loans granted to oligarchs and connected parties. However, instead of taking full control to protect the deposits of citizens, BNB has left things as they were; has concealed the report and has allowed the expansion of the Bank to retail depositors. In its official responses to our editorial office, the central bank now acknowledges that the regulations stemming from the report from 2012 have been “partially met“. However, according to information Bivol possesses, the report from 2015 is even harsher, meaning only a negligible and insignificant part of the regulations has been met. Meanwhile, BNB assured that all regulations from 2015 have been met, but it remains unknown what they are. In addition, the report from 2012 clearly states that FIB has not implemented previous regulations and recommendations of BNB, demonstrating a brazen attitude of being above the law and regulations. However, there weren’t and there aren’t consequences because of the political cover-up. The 2012 report on FIB has been prepared on the orders of the then-chief of “Banking Supervision” Rumen Simeonov. He was indicted in the CCB case because of a similar report on CCB prepared two years earlier. According to the statement of the prosecution, the report of the supervisory inspection of BNB from February 29, 2010, has established numerous violations in the activities of Corporate Commercial Bank that threaten to jeopardize the financial interests of depositors. Although Simeonov has been properly notified about them, he failed to undertake the supervisory measures as provided by the law. The public prosecution sees the inaction of the defendant as a precondition for the occurrence of major harmful consequences in terms of threatening the financial interests of the State. Bivol was able to compare the overall conclusions in the two reports – on CCB and FIB and clearly established that that the report on CCB is much more favorable and milder and the number of violations is much smaller. According to unconfirmed information, the report on FIB has also been requested by prosecutors in another case, but for now the prosecution keeps silent and has not pressed charges despite the alarming evidence of drain in FIB, reported by Bivol, and fully confirmed in the BNB report. This clearly demonstrates that the public prosecution is applying double standards and refuses to enforce the law – abandoned by controversial media mogul and lawmaker, Delyan Peevski, CCB was destroyed with the active role of the prosecution and light was shed on violations in this case, including inaction by “Banking Supervision”. The violations of FIB, which “shelters” the corpulent MP after the collapse of CCB, are more drastic, but are concealed. The inaction of “Banking Supervision” in the case of FIB is carefully concealed as well. As we noted in the first article on the subject, the decision not to disclose the hole in FIB and its bad banking practices is political. From a technical standpoint, the BNB inspectors have very accurately analyzed and have explained in detail how bad exposures have been and are concealed. – FIB has introduced a “conditional loan” mechanism in order to refinance non-performing loans. Therefore, the indicators of non-performing exposures are reduced additionally. This seems to have been a systematic practice. – FIB has created a “bank in the bank” through its branch in Cyprus and loans to other offshore companies for which the report mentions that they have not been monitored by the Risk Management Directorate and have not been reported to the Central Credit Register. – For most of the accrued interest it is agreed that it will be paid with the maturity of the respective loans. At maturity, however, the loan is deferred with an annex; therefore, the payment of interest is delayed in time. This is exactly what happened with exposures of shell companies that bought the steel mill Kremikovtzi and ultimately failed to pay and the Bank acquired their assets to cover the loss of 200 million. In coming days Bivol will publish the remaining pages of the report that contain a detailed analysis of the violations and how their disguise has been carried out. There is specific data about companies and individuals who received loans from FIB under preferential terms. This has led to serious problems and strong pressure on FIB’s capital. The conclusions of “Banking Supervision” fully coincide with the findings of Bivol in a series of journalistic investigations into FIB’s case in the past two years. BNB, the Prosecutor’s Office and the National Security Agency (DANS) know about them, but continue to ignore them. We are strongly stressing the above in order to show clearly #Who exactly will have to bear specific and exact responsibility for the collapse of the pyramid and for the serious implications for the country’s finances. Learning the truth is always a matter of time, regardless of how strongly it is guarded.